John has a particular expertise in the politics of municipal governance and restructuring, and has acted as a consultant to local governments in Ontario and across Canada. Prior to joining StrategyCorp, John served as Chief of Staff to Ontario’s Minister of Municipal Affairs and Housing. In that capacity, he was instrumental in the amalgamation of the City of Toronto, the creation of a new municipal taxation and assessment regime and key reforms to the Municipal Act and the Planning Act. John’s policy expertise is grounded in his legal background. He was called to the Bar of Ontario in 1993 and practiced law in Toronto with a major Bay Street firm. As a result, John has frequently been engaged to support legal professionals in issues management and government relations activities. At StrategyCorp, John serves as both managing partner and in-house legal counsel. 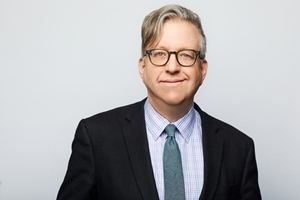 John also serves on the executive of the Ontario Chapter of the Association of Corporate Counsel where he led the creation of “INYour Corner” — a project that connects in-house counsel with opportunities to volunteer in Pro Bono Legal service. He is also a Vice-President of the Board of Directors of Toronto’s Power Plant Contemporary Art Gallery. John is a volunteer political activist at both the federal and provincial levels. He has extensive experience in political organization and has played a leadership role in policy platform development for campaigns at every level of government. He also media trained over 500 spokespeople and prepared them for the rigours of media relations.A frequent public speaker and commentator in the news media, John appears regularly on television and radio. He holds a BA (Hons) in political studies from Queen’s University in Kingston and an LLB from the University of Toronto. Sign up to receive newsletters, communications, reports and updates.